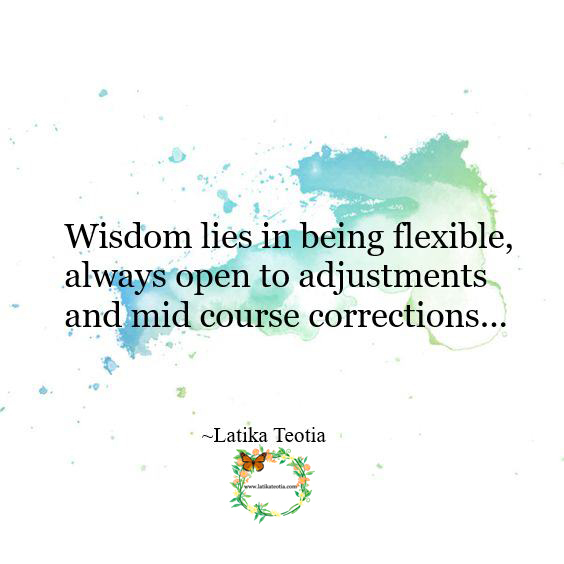 Wisdom lies in being flexible !!! Fill your relationship with love and understanding !!! None of us is perfect, yet some of us seek perfection in others and that is the root cause of broken relationships as well as misery. 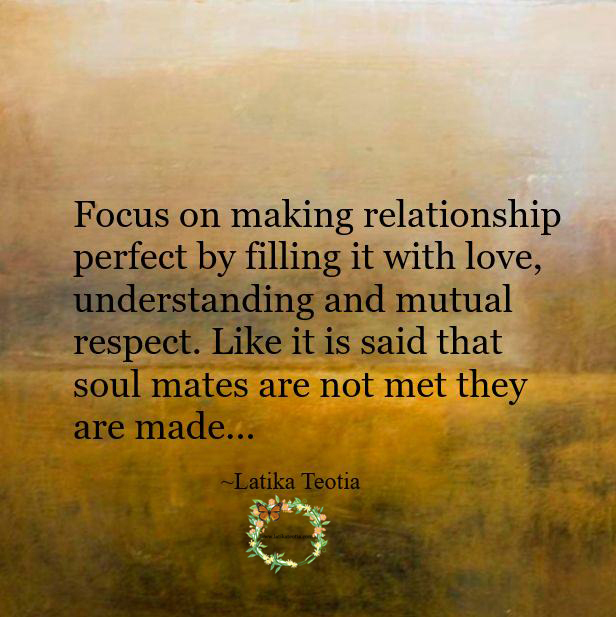 We should rather focus on making relationship perfect by filling it with love, understanding and mutual respect. Like it is said that soul mates are not met they are made.